In the spring of 2017 i got my graphic novel Ellna: Ättling published here in Sweden. It's a dark fantasy story placed in my own version of Sweden during the witch trials of the 1600's. 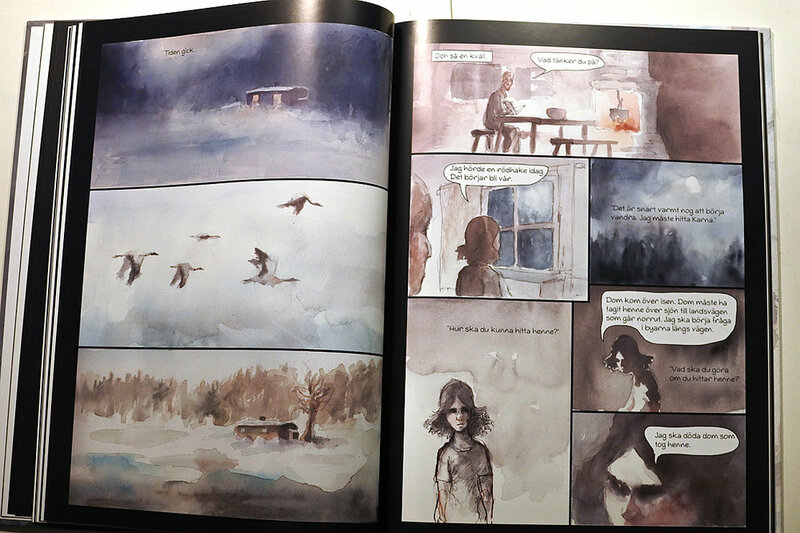 It's 100 pages all painted in watercolour. The book is about a 12 year old girl named Ellna who is looking for her little sister who vanished the same night their mother was murdered. During her search she encounters the darkness she's only heard stories about and learns about her own family's secrets. It's available for purchase in sweden from adlibris.se, epix.se or in your local library. If you have questions about it please don't hesitate to write.